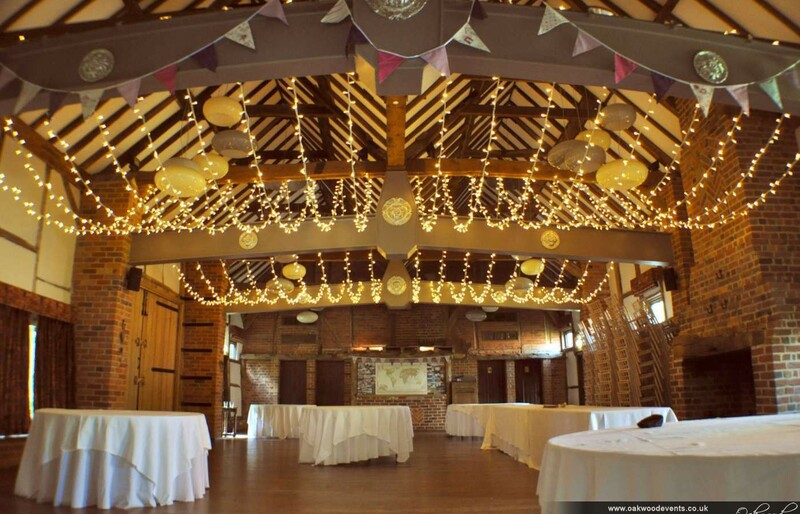 We just wanted to say a HUGE thank you to you and your team for the AMAZING job you did with the lights in the Dawley Barn at Lainston House a month ago today! It was so lovely going in on the Friday afternoon and seeing the lights going up… it completely transformed the room and hid the modern lighting really well. 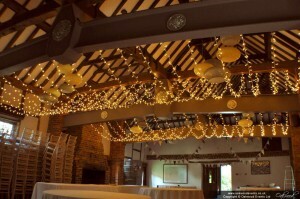 Everyone commented on the lights, they really set the scene beautifully!! 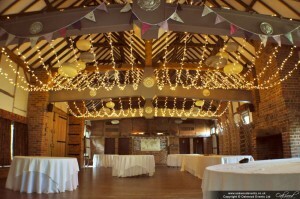 I even heard that members of staff at the venue were being sent down to see how amazingly the barn had been transformed and I believe that is largely down to the effect the lights had… with a little help from the mile of bunting my Mum and I had made! 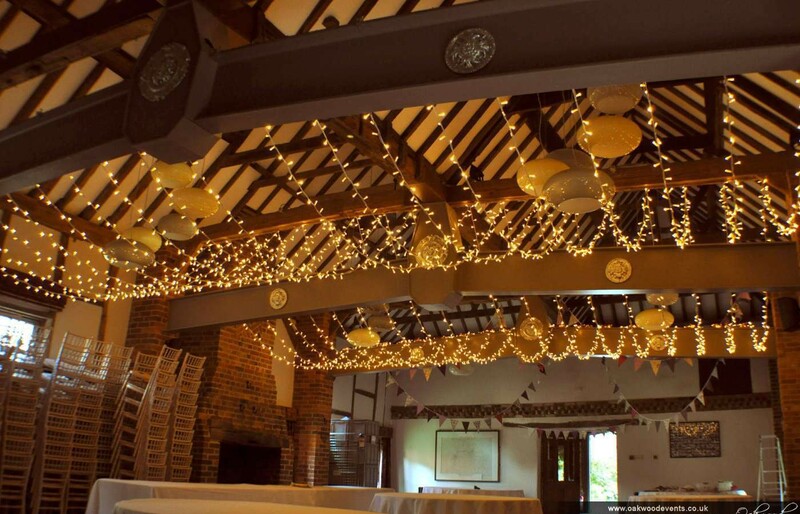 For our full range of wedding lighting services, click here or for a portfolio of some of our previous work, click here.